Accurate H2O Plumbing technicians can provide water heater repair and installation in Columbia, Lexington area. The water heater is often one of the most neglected necessities in a home. Regular repairs and maintenance of the water heater often get put on the back burner. Only when a problem gets out of control do repairs or replacements tend to become a top priority. Properly maintaining your water heater will reduce the chances of it failing prematurely. You should also keep track of the age of your water heater. Many of them are only under warranty for about ten years. It’s possible for a heater to last much longer, but it might not be running at maximum efficiency. Another factor in the condition of your water heater is its level of use. If you are single or living with a spouse, your water heater might last quite a while. But if you have a large family, your water heater is sure to wear out faster simply due to the volume of use it gets in a given year. If you require a new water heater, we can explain what your options are. These include traditional water heaters as well as tankless water heaters. No matter which option you choose, we can supply it for you and then our trained technicians can remove the old and install the new one in its place. 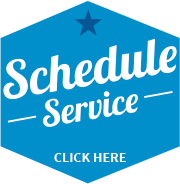 If you contact us because you are having water heater issues, we will make an appointment for one of our technicians to meet with you. The technician will look at your water heater to see if it can be repaired or needs to be replaced. They may also recommend a water heater replacement if your family is large and the water heater is undersized, even if it hasn’t had any significant problems just yet. The sooner you contact us, the sooner we can assess your water heater. The earlier problems are caught, the easier they are to correct. So don’t suffer through cold showers and low water pressure. Call us right away. Would you like more information on traditional vs. tankless water heaters?